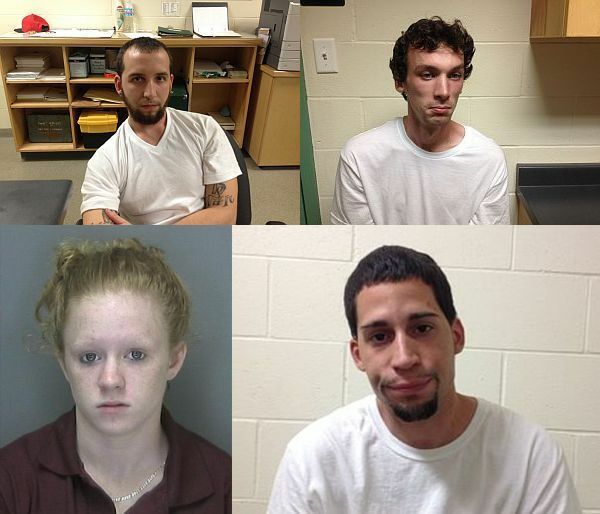 A drug bust on VT Interstate I-89 yielded 66 bags of heroin and 46 grams of crack cocaine just after 6 pm on Thursday. VT State Police say they culminated an investigation into Heroin, Narcotic and Crack sales and possession in the Barre, VT area with the execution of a search warrant on the vehicle of Jennifer Farnham, a 2015 GMC Acadia. State Police received information that Farnham and several other subjects were enroute to an out of state location to obtain Narcotics and return with them to Barre, VT. State Police from the Middlesex Station located the vehicle north bound on I89 at about 1805hrs just south of Exit 5 in Williamstown. The Acadia exited I89 and began travelling west on VT 64 when Troopers stopped the vehicle. A search warrant for the vehicle had been obtained prior to the stop. The search warrant was executed and State Police located 66 bags of Heroin with a street value of $990 and 46gm of Crack Cocaine with a street value of $4600. Jennifer Farnham was charged with Heroin Transportation, Felony Heroin Possession, Felony Crack Possession. Caraballo, Howe and Mitchell were charged with felony possession of crack cocaine. All of the subjects are scheduled to appear in Orange Superior Court on September 4, 2015 at 1230 hrs.